Former Manchester United manager Jose Mourinho has accepted a one-year prison sentence for tax fraud, a Spanish court filing showed on Tuesday, although the Portuguese will not spend any time in prison, as first-time offenders in Spain do not normally serve jail time for sentences of two years or less. The Portuguese national was accused of owing Spanish tax authorities nearly €3.3m (£2.9m). In addition to the suspended sentence, he will pay a reported €2m in fines. Spanish prosecutors said Mourinho, 56, failed to declare revenues from image rights in Spanish tax declarations from 2011 and 2012, when he was coach of Real Madrid, "with the aim of obtaining illicit profits." Mourinho was accused of using offshore companies in Ireland, the British Virgin Islands and New Zealand to conceal earnings on image rights in 2011. 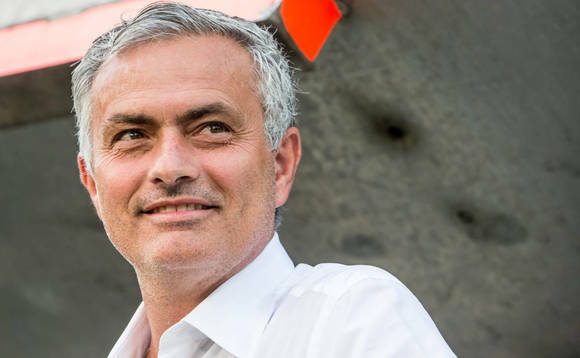 Local news outlet El Mundo reports that the Office of the Prosecutor and the State Lawyers will "communicate in the next few days... that they have already closed a compliance agreement" with Mourinho over the tax evasion charge corresponding to the years 2011 and 2012. In November last year, Mourinho said outside court in Pozuelo de Alarcon: "I did not answer, I did not argue. I paid and signed with the state that I am in compliance and the case is closed." This follows Portuguese soccer star Cristiano Ronaldo's guilty plea to tax fraud last month in a Madrid court over charges dating to his time playing for Real Madrid. Ronaldo was accused of using shell companies located outside Spain to hide income made from image rights nearly three years ago, the Associated Press reported. He signed a plea agreement and will be fined $21.6m. Ronaldo was also given a suspended 23-month jail term. Due to his conviction, Ronaldo faced being stripped of all his commendations given to him by Portugal's president, Marcelo Rebelo de Sousa. However, the authorities decided against it, saying that a suspended prison sentence was not in breach of the duties imposed to someone who has been officially commended.